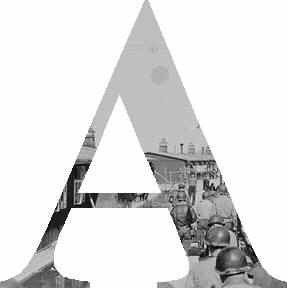 Each letter in 'Liberators' is cut from an actual photograph taken during liberation of camps. To view full photos/text, click on the letters. To liberate means to free. 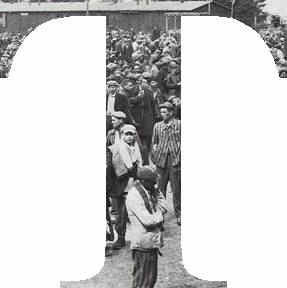 Liberators of concentration camps include not only the troops who broke down the gates to the camps, but also support troops who followed immediately afterward to provide medical care, food, clothing and loving-kindness. They too were rescuers. These liberators share the bond of an uncanny experience, one that befell some of them briefly, some for a few hours, others for several days, and still others for weeks and months. They bear witness for those who were treated to tortures humankind has yet imagined. They offer that witness to us so that their memories will live and have enduring meaning long after they are gone, and ensure that an evil of this magnitude will never again be permitted. 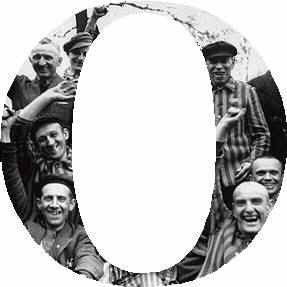 Learn more about WWII liberators at the US Holocaust Memorial Museum. 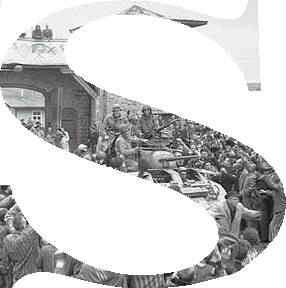 This website is dedicated to the Quad City area WWII liberators who were honored by The Quad City Yom HaShoah Committee. Interviews and text © by Marrietta Castle (Ph.D., Professor Emeritus, Western Illinois University).